Cricket is the most important Indian national sport, pastime as well as religion. There is a large number of Indian cricket aficionados, and over 85% of Indians focus on cricket matches of Indian women and men with equal interest. Men’s tournaments often attract fans to stick with the screen, but now Indian women cricket team matches are also the must-watch cricket highlights. This boosts a great many websites or apps available for watching Indian women cricket team live. What is the most prevalent video site for live cricket streaming online? Hotstar is one of the most popular cricket live streaming sites. It comes with channels for Hotstar live score, Windies Tour of India, Paytm Ranji Trophy 2018 live, IPL tournaments and more. Also, there is a special channel for women’s cricket live streaming or videos, aka ICC Women's World T20. 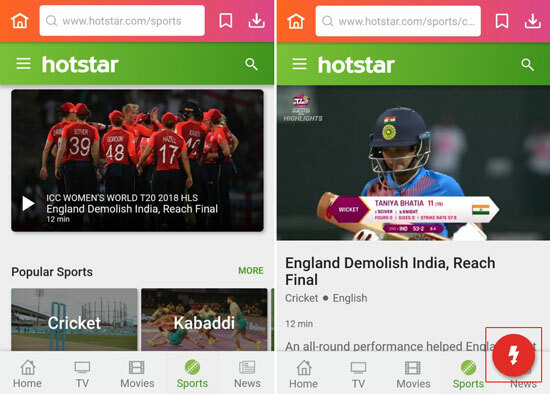 As a star online streaming service to cover cricket matches, Hotstar appeals numerous cricket fans on both its PC version and mobile version. But even though Indian women cricketers have brought eye-catching moments to the fans on Hotstar, there are still many Indian Women cricket lovers who cannot access to the Hotstar cricket live (हॉटस्टार लाइव क्रिकेट) due to their locations. Hotstar is officially available in the U.S. with part of the videos, but the Indian sports content, including Indian women cricket team live, is geo-restricted. How regretful it is for those fans blocked outside India! Luckily, you are visiting this page. If you are looking for ways to stream match live of Indian women cricket team on Hotstar from other countries, then you should not miss the guide below. Here is a step-by-step instruction to watch and download Hotstar live match of Indian women cricketers without the geo-restriction and account. In order to unblock Hotstar anywhere in non-India regions, you have to get VPN or DNS service on your device. 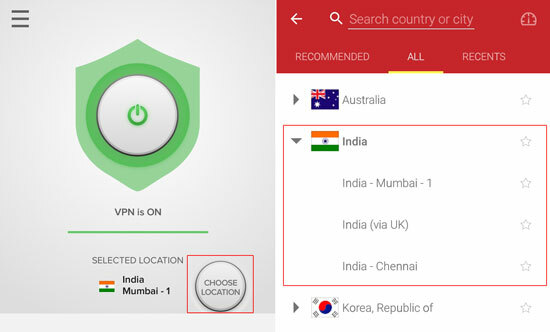 A VPN can link your device to an Indian server so that you are virtually located to India. Then Indian Hotstar live matches are available on your device. To make it, you can install mainstream VPN tools, like ExpressVPN, IPVanish, Tunnelbear, etc., or use DNS services like Smart DNS Proxy. Let's take ExpressVPN as an example. Launch the app or software, and then go to “Choose Location” for an available Indian server. Note: You may get most of them with quite low prices on Thanksgiving Day, Black Friday, Cyber Monday and even Christmas. With a VPN provider, now you've entered an amazing world without geo-restrictions. Next, let’s see how to stream and download Hotstar free cricket match videos without an account. If you have a Hotstar account, then you can stream Hotstar women cricket live sports on the site. But what if you don't want to log in Hotstar? It is recommended to use an all-in-one video downloader to watch or download cricket match videos, like ICC Women's World T20. Here we'll take InsTube, an all-in-one video downloader, as an example. 1. Launch InsTube video downloader and tap "Hotstar" on the homepage. Then it will open the site with an inbuilt browser. 2. Go to "Cricket" menu and tap a match video of Indian women cricket team. Now you can stream the video or live. Also, you can tap the red "Download" button at the bottom right corner. 3. Select proper video format and resolution from the pop-up menu, and then tap "Fast Download" to start downloading the cricket highlights video from Hotstar. After that, you can check the cricket video by tapping "My Files" icon on the upper right corner. Now you can watch the highlights of Indian women cricket team videos offline. 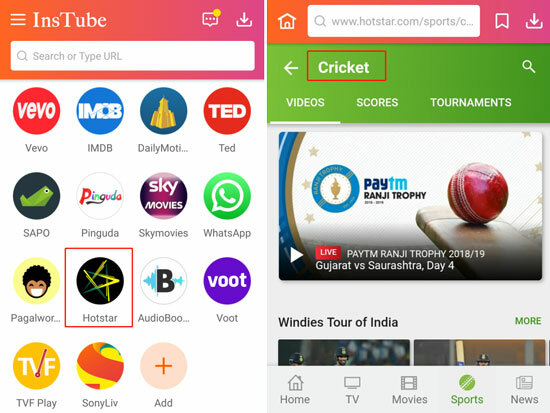 Besides Hotstar live matches, you can also use InsTube to stream or download Indian women cricket team videos from YouTube, SonyLIV and more cricket live sites. To get InsTube video downloader, go to Uptodown.com for the APK or just tap the download button below. Governed by the Board of Control for Cricket in India (BCCI), Indian Women Cricket Team has been striving for its collective weight in both the International and domestic competitions over the years. 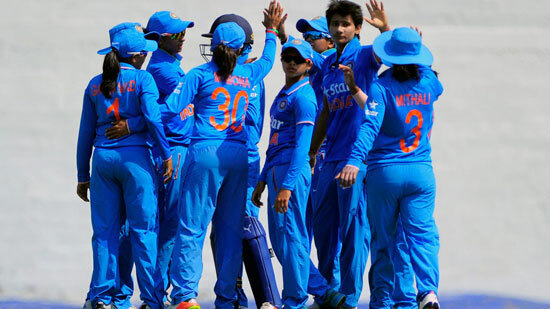 The Women in Blue is now ranked at the third spot on the International Cricket Council (ICC) Women's Rankings. If you are one of the ardent cricket fans of Indian Women's cricket, don't miss any cricket tournament schedule for Indian Women team. Just enjoy your benefit of Indian women cricket live streaming on Hotstar or other sites for the special cricket seasons. Now add a cricket live website to InsTube video downloader homepage for quick access in one touch. That's it. If you have any problems in InsTube download/install, or if you want to share more information about Hotstar live match of women cricket, feel free to post them in the comments below. For more useful video download guides, please see How-To. And we hope you continue to have access to our email: support@instube.com. Many thanks.